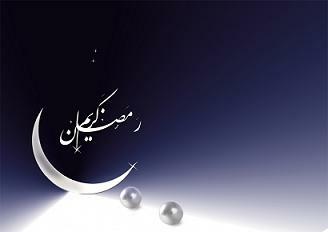 Each Muslim whether living in an Islamic country or otherwise very well knows that that the whole month of Ramazan is the most holiest month in an Islamic almanac and the last 10 days, nights as a matter of fact, of Ramazan in particular take over the rest 20 days of the month meaning by that during these days each Muslim who worships will be rewarded manifold and therefore one can very vividly see the marked difference in attendance of the worshippers in any mosque. It is an undisputed fact that Holy Quran was revealed on Prophet Muhammad (PBUH) during the month of Ramazan so from this point of view it supersedes the rest of the month of a year. The importance of the month can be understood from the fact that it has twin benefits for the Muslims as the doors of heaven are wide open throughout the month, while on the contra, the doors of the hell are closed from the same period of time. How fortunate we are to be so much blessed in the holiest month. Isn’t it most gratifying to pen and realize that any prayer offered during the month is multiplied ten times so far as its reward is concerned. In simple words, one prayer during the month is counted as ten prayers. From amongst the last ten nights, there is one night which is named ‘Laila tul Qader’ and Allah Almighty promised that whosoever prays on this particular night, he or she will be rewarded equivalent to the prayers offered by him or her for 1,000 months which is the most credible holy reward and award what the Muslims can even think to reap so fast. How less one prays and how much one gets in return simply cannot be explained in words or phrases or both. If we tabulate and calculate as to how much we put in and how much we receive, we should first divide 1000 months by 12 to convert the said months into years (1000 / 12) which will come to 83 years and 4 months. How many of us had lived, are living or will live for 83 years and 4 months even if calculate it from the date of birth is an unanswered question? However, practically fasting is not obligatory from the date of birth in other words it is to be calculated from adulthood which means the person under reference would be 100+ and not less. How many will qualify, is my question for you as I am not that intelligent like you to answer such a riddle? My goodness, what a bargain! One prays just one night and in return he or she gets so much in return and this phenomenon, as such, has electrifying and magnetic effect and force for the Muslims. None knows, despite all scientific researches, innovations and advancement which have been carried out till today to find out, if possible, as to which could be the night under reference to be named ’Laila tul Qader’ and we have utterly and hopelessly failed in Toto. However, Allah is too kind and have eased up in our pursuit in a sense that it is ordained that this night can be on one of the odd nights namely 21st, 23rd, 25th, 27th and 29th but nothing more or less than this. By this analogy, our search for the night is reduced to just half of the 10 nights period. Special mid night prayers are offered during these last ten nights and, no denying the fact, quite significantly much more people can be seen in mosques on the above odd nights while their numbers do shrink on 22nd, 24th, 26th and 28th respectively. This trend, tradition and or practice, of course varying in %, from a place to a place is very much common amongst Muslim population. I have no hesitation or reluctance to pronounce without any exaggeration that over all the situation is very true in all the places and the regions including Kuwait where I’m since 1978 or Saudi Arabia where I worked during 1976-78 or Pakistan where I have been raised from 1947 till 1976 or even India, for that matter, where I was born in 1943. The mosque I am praying in is just at stone throw away distance from my residential complex. The mosque is a gift from a Kuwaiti philanthropist lady and its age is somewhat a little over than 3 years. It is fully air conditioned and fitted with very thick and cozy carpet and laced with sound system. It has two quite spacious halls-one under the dome with huge chandelier and the other at the main entrance. The main dome area has twelve designated rows and each row accommodates approximately 60 persons but practically during rush, people squeeze and try to give space to others hence there are 14 rows as against 12 and likewise in the entrance hall, its 8 designated rows turn out to be 10 rows. However, the saddest part is that a very little people come to the mosque to pray there 5 times a day on any given day but certainly their numbers increased to unimaginable limits and manifolds during Ramazan. On any given day, excluding the holy month of Ramazan, on average worshippers are found in just one and half to two rows only depending upon the prayer time which may clash with working time of some of the worshippers and likewise the attendance of the Muslims increases on off days but thins out on working days as people are to go to work. I can very safely say that except Friday prayer, the worshippers can be numbered around in just three figures and can be counted on fingers. The empty halls both under the dome and at the entrance are empty and waiting to welcome worshippers but alas they do not come and the same is being discussed by me in the subsequent paragraphs. The situation warrants to raise some very pertinent and particular questions, of course very much mind boggling and intriguing and fully tinged with limitless shame, to dig deep as to from where the worshippers were imported to over crowd the mosque I am referring to, or on the other hand, how the mosque gave so much deserted look not for a month or three months or six months or even nine months but for eleven months? Kuwait, it must never ever be forgotten, is such a typical Islamic country where amongst its millions of citizens perhaps 2 or 3 only are Christian Kuwaitis which means numerically speaking its mosques, howsoever greater in number these may be, cannot house each and every worshipper but regretfully the situation is other way round. The expatriates living in my area do have some non Muslims for sure but still here too Muslim expatriates outnumber the non Muslims. I will state noting but hard facts devoid of any type of prejudice, hatred, animosity, antagonism and malice and leave it to your conscious to judge and pick up the one which suits you the best. Who does not know that each and every adult Muslim is to pray 5 times a day irrespective of the year, month, date and day under reference? The principle is so very universally applicable to all Muslims that they are ordained to pray wherever they are-in east or west; south or north; winter or summer; spring or autumn; day and night. The category of gender, attainment of education, marital status, economic conditions, to name a few have no bearing so far as offering prayers is concerned. Additionally, each Muslim is to pray in any manner one can pray, if not standing. The person can sit and pray in case he or she is incapacitated or unable to stand but if he or she cannot pray sitting then he or she is to lie down and pray. As a last resort, if the person cannot pray in any of the above mentioned conditions then he or should pray by making signs and gestures but if this is also not practicable then the last stage is that the Muslim prays inside his or her heart. In nut shell, there is neither any way nor a reason for any Muslim to shirk, avoid and or skip prayers unless and until the person he or she willingly wished to be punished by Allah Almighty. On 27th evening the mosque was over crowded and it really spilled over. The question is from where did these new worshippers come in Ramazan did in general and 27th in particular? To the best of my knowledge and wit coupled with prudence, they are neither invited and imported from other cities and, or for that matter, even dragged and transported from other localities, rather in fact, they are the residents of the buildings nearing to the mosque itself but were dormant not for hours, days, weeks, fortnights or even for few months but eleven months or more correctly eleven months and 26 days. Such like asleep, comatose, fallow were hibernating for so long and waited either for the month or 27th night, to be more precise, to become Muslims again. This eventually proves there had not been any activity which can be gauged and or labeled as expatriating or repatriating during the subjected month. It is undisputed that from time immemorial, many non Muslims are converting to Islam not only in USA, UK, Saudia, Pakistan or Kuwait, to name just a very few though practically religious conversion is being taken place in all countries without any exception. Shouldn’t I infer that such a large number of influxes of people into the mosque during Ramazan are a proof that nothing but the very factor of the conversion to Islam had been instrumental and therefore one could see hundreds of new worshippers to the mosque in Ramazan in general and on 27th in particular? From logical and numerical point of view, few and or even some can certainly be converted from non Islam to Islam in a particular locality at a certain given time but here the numbers run into hundreds which as such rules out that conversion could bring in so many hundreds and that too in just one mosque. Today I am writing this eye opening article on Thursday 9th September corresponding to 30th Ramazan so far as Kuwait is concerned and the last night at mid night prayers, the attendance had shrunk to the extent that just a little over 4 rows had worshippers but on 27th night the same mosque had worshippers in 24 rows and that too shoulder to shoulder whereby even air couldn’t pass between the two worshippers. My goodness, the main dome hall was occupied just one fifth whereas the entrance hall was completely barren and looked like a haunted place. Who stopped, if at all any, the valiant worshippers who even sobbed and cried on 2th night from going to mosque afterwards? Didn’t all those who had been in the mosque on 27th know that they will be profusely rewarded on the rest of the days of Ramazan as well? What loss, if any, had been sustained and pocketed by those had they gone to mosque instead of absenting? How could such a sharp and drastic change tilting towards dropping out could happen and why, a question to be asked by each Muslim to himself or herself to answer? Guess, even if wild, what could be the number of worshippers in a mosque on Zohar prayers on Eid ul Fiter barring Kuwait where Eid being on Friday, lot will turn for weekly Friday prayers but this question is posed for Aser prayers in Kuwait? I am num and dumb to reply to such like piercing question but what about you, I dare not ask for my safety and security.